When their two children were little, Scott Powers and Meg O’Brien felt fortunate to have Scott’s parents living just five blocks away. So as his father’s 80th birthday approached, Scott began considering next steps that would allow his parents to remain in the Rose City Park neighborhood and retain their independence. When he learned about other families who had used ADUs to create flexible housing options, Scott and Meg began researching and visiting ADUs. The family brought an architect on board to help them design a home that would meet Portland’s ADU design guidelines, which require that the ADU have the same look as the existing house. Scott notes that they probably would have wanted the ADU to match the main house, even if the requirement were not in place. There were ultimately conflicts with the architect, so the family bought the design and continued their work with a contractor. Meeting their parents’ needs was the primary design consideration and they decided to build an 800 square foot ADU, the largest ADU allowed in Portland. They knew that transitioning to the smaller space would present some challenges. The family worked around them by storing some of their parents’ belongings in the basement of the main house. This enabled them to focus on creating a home that would suit the occupants’ needs and desires. It was, for instance, important that there be two bedrooms so that Scott’s dad could have a “man cave” where he could listen to music. 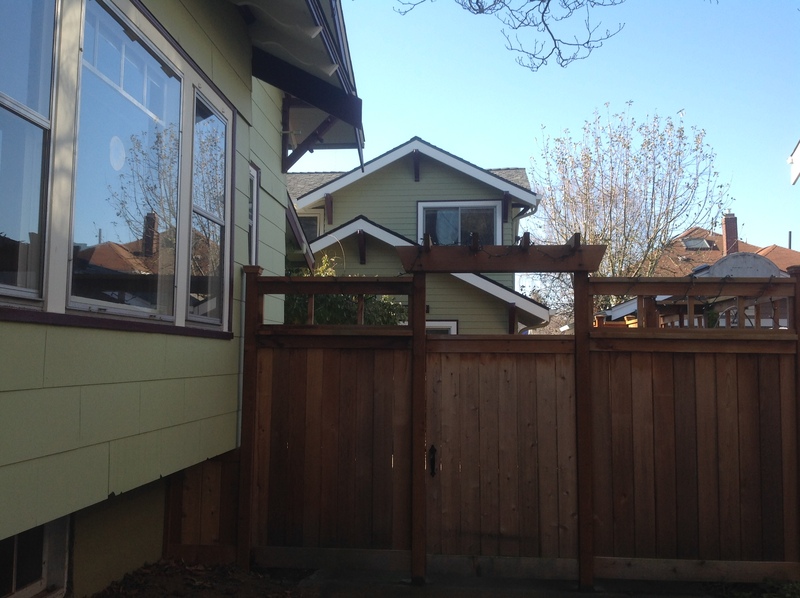 They determined that if Scott and Meg tore down their garage there would be just enough room within the required setbacks for a two-story 800 square foot ADU. However, they installed double-paned windows and blown-in foam insulation, so the ADU is very air-tight, which also prevents sound transfer. The family also worked with a landscaper to install hardscaping and plantings. They are now quite pleased with the outside space that provides a transition zone between the main house where Scott and Meg live with their two children and the ADU where his parents live. In fact, Scott’s only concern about the ADU is that the investment the family made, and the value that it adds, might not be recognized if they sell their property someday. 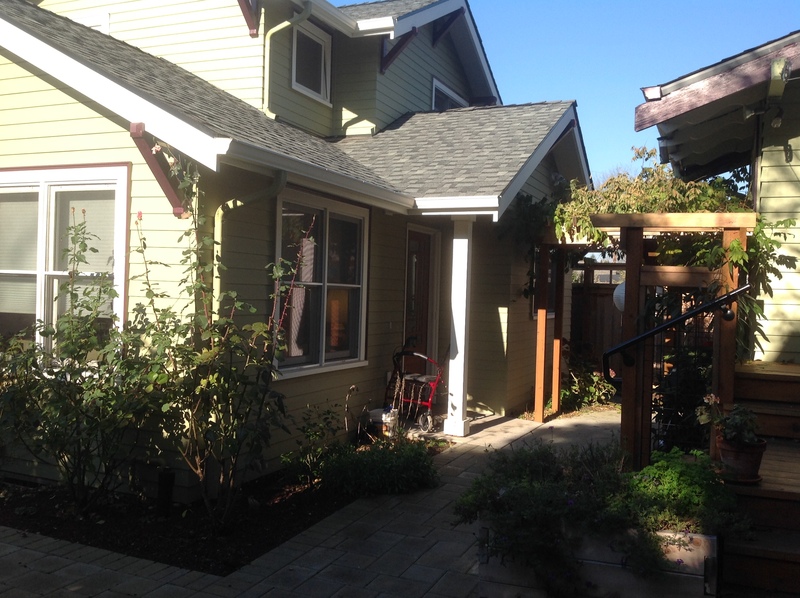 (You can read more about Understanding and Appraising Properties with Accessory Dwelling Units.) Fortunately, Scott’s family has no immediate plans to move. The ADU has created flexibility for their future. 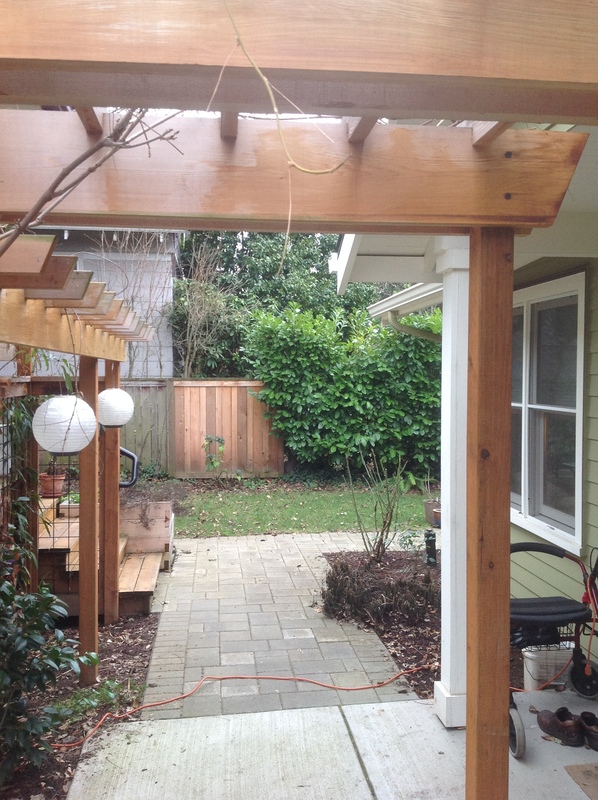 Thanks for checking out our post about Scott Powers’ ADU. 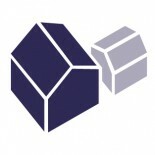 Stay tuned for more ADU Case Studies! We’ll be posting one each week. 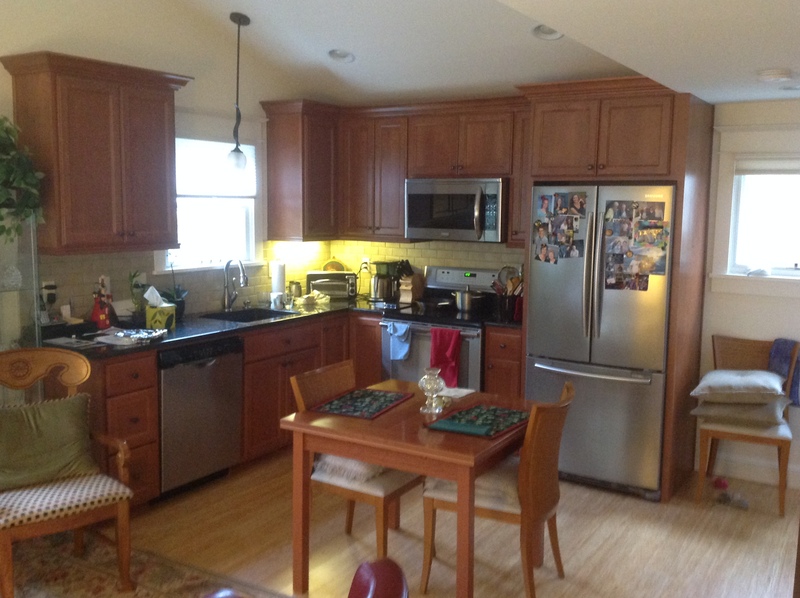 This entry was posted on December 31, 2013 by linamenard in 800 SF or Larger, Case Study, Detached, Floor Plan, New Construction, Projects and tagged adu for parent, extended family, Meg O'Brien, mother-in-law, multigenerational housing, Scott Powers.